Emsland Group has been developed numerous products within the food sector under the ambitious objective. 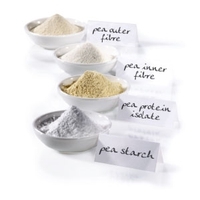 The products Emes® EOA 30, Emes® ESA 15 and Emes® ESA 25 offer new functional pea starches with excellent properties for use in cheese alternatives/analogs and also for confectionery. 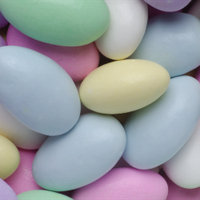 Sucrose esters are not sweet, but they can be a great benefit for sugar reduced candy. Especially for the grained variants. Sucrose esters promote crystallisation of sucrose as well as polyols. Several reduced sugar recipes are developed with Sisterna sucrose esters, like chewies, hard panning, and fondant. 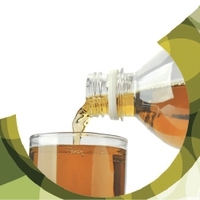 Brewed tea is a topic on today’s agenda, mainly because the market segment of flavoured ice tea drinks is in a phase of rapid growth. But it’s too easy to just say “brewed tea”: not all teas on the market are the same and this definition cannot be attributed to them all. Micelate™ Prestige has a prolonged digestion profile compared to other common dairy protein sources available in the sports nutrition market, ensuring a sustained release of amino acids and supporting muscle mass and gain augmentation during sleep or when a longer recovery period is available. Honest natural and individual taste. 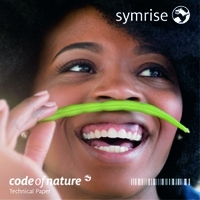 code of nature® by Symrise answers this request for genuine natural taste for food and beverage solutions, by combining its four pillars for each and every customer wish. Each time creating a unique and individual, truly and purely natural taste solution – a unique code.